Not only was the Fraggle audience in many countries on multiple continents, but so was the writing staff. This led to perhaps the first use of nascent internet-type communications in creating a television show. 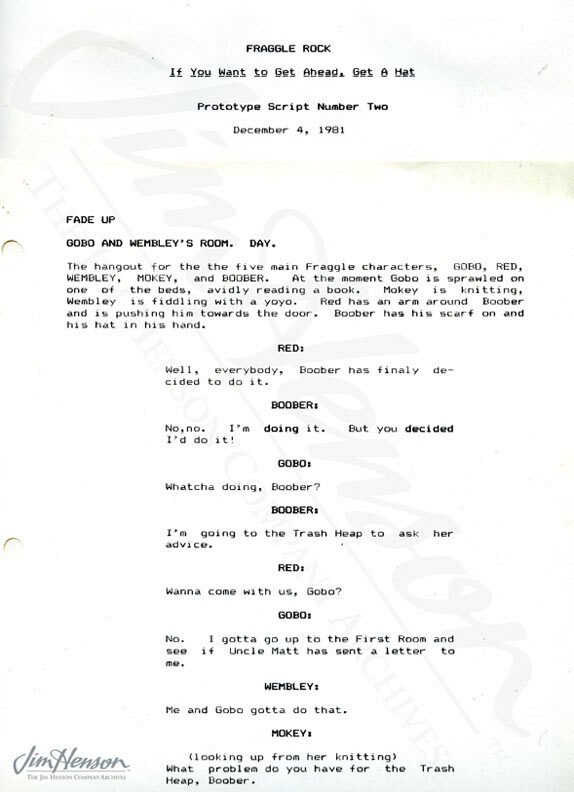 Many ground-breaking animatronic and puppet technologies were developed for the production, but it was the digital communication that made the creation of the Fraggle world possible on the most basic level. The development of the characters and their stories gave the show its center and, for the early 1980s, happened in an extraordinary way. Jocelyn Stevenson in the UK writing a Fraggle script on her Apple computer, 1980s. 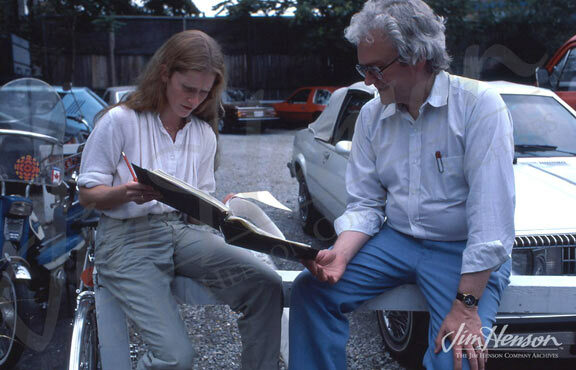 Jerry Juhl and Jocelyn Stevenson work together on a script in person, 1980s. 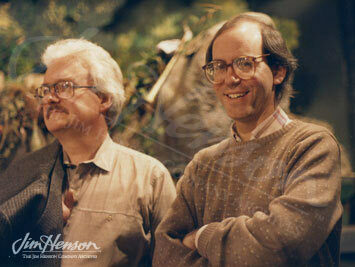 Jerry Juhl and Larry Mirkin on the Fraggle Rock Set. Photo courtesy of Larry Mirkin. 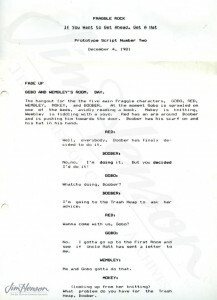 Prototype Fraggle Rock script, 1981. This entry was posted in 02-February '83, 1983, Fraggle Rock and tagged computers, Jerry Juhl, Jocelyn Stevenson, Larry Mirkin, technology, Toronto. Bookmark the permalink.